Having an opportunity to debate or engage in public speaking provides students with lifelong skills. Students learn to become critical thinkers. They become articulate, self assured and are confident in their own beliefs while also having the ability to listen to and appreciate other people’s opinions. Here in Our Lady of Lourdes there is a very active debating and public speaking club at senior level. The team consists of a mixture of TY, 5th and 6th year students. The Concern debating team are currently in the league phase of the competition. The Concern Debates programme tackles moral and ethical issues such as climate change and extreme poverty. 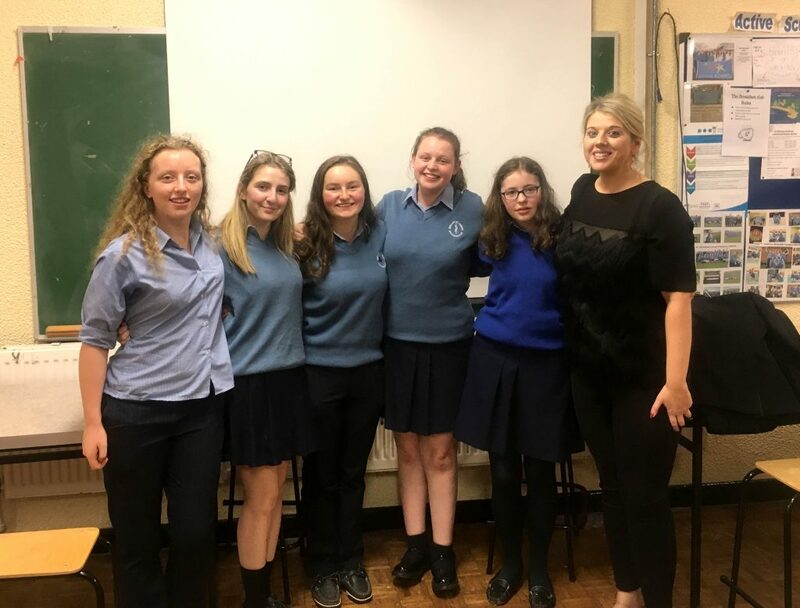 The school is also taking part in Soroptomist Ireland which is a public speaking competition that is exclusive to girls. Soroptomist Ireland strive to recognise and promote the value of women in our society. The girls are having great fun preparing for their upcoming debates!